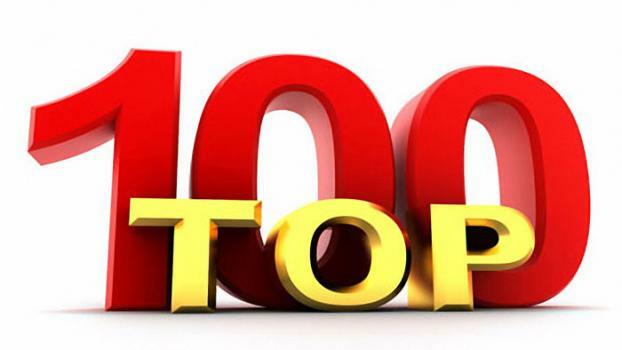 I chose to exclude all video game studios from this list, but for a good reason: next month I’ll be following this article up with my 100 Most Influential Video Games of All Time list! Try to not get too caught up with my rankings, and instead appreciate all of them as a family that’s helped shape who you are today. 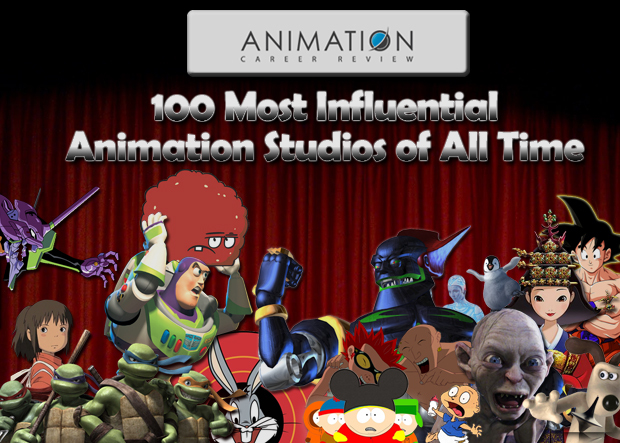 I hope you enjoy this journey through 100 years of animated art, but if you think of a person or studio that I didn’t have room to include then I urge you to give them the credit they deserve in the comments below. 100. P.A. Works - Their larger projects include the anime series True Tears and Canaan, but their most influential works are the 2D animated cutscenes from the Professor Layton DS game series. Level-5’s game design was good enough to make the DS series successful, but P.A.’s animations pleased handheld gamers so much that they cried for more, and after four well received games wasn’t enough, P.A. Works recently made an entire animated movie – Professor Layton and the Eternal Diva – based on the characters. 99. Method Studios - They were founded in 1998, and along with their sister company, Company 3, have created the post production effects for over 50 feature films including the Pirates of the Caribbean trilogy, The Ring, A Nightmare on Elm Street (2010), Attack the Block, The Ides of March, The Girl with the Dragon Tattoo, and Argo. Method Studios has also been involved with commercial campaigns for Taco Bell, Verizon, Motorola, Droid, ESPN, Domino’s Pizza, Budweiser, and several others. If you’ve ever seen the dancing gangster chipmunk commercials, then you’ve seen their work. In 2011 they won VES and AICP Awards for their visual effects (VFX) in the live action Halo: Reach “Deliver Hope” commercial. 98. Makoto Shinkai - I’d use a studio name if I had one, but this one man wonder has done more on his own than most animation studios achieve in a lifetime. After his five minute short film, She and Her Cat, won the Grand Prize at the DoGA CG Animation Contest, he decided to make a full length film based on one of his drawings of a space pilot holding a cell phone. Once Mangazoo gave him a grant to pursue his dreams, he quit his job at a video game company to start making Voices of a Distant Star. Seven long months of hard work later and he had completed his first film with the help of a few others, which solidified his unique art style that combines powerful perspective scenes with strong lighting. He’s gone on to make other great films like The Place Promised in Our Early Days, 5 Centimeters Per Second, and Children Who Chase Lost Voices from Deep Below. His friend Tenmon composes the soundtracks for most of his projects. 97. Rainmaker Entertainment - Formerly Mainframe Entertainment, they’re world renowned for creating ReBoot – the first full CGI series in television history – but are a modest Canadian computer animation studio that often focuses on passion projects and outsourced video game cinematics. Rainmaker is also responsible for at least ten of the two dozen Barbie Mattel films, as well as Spider-Man: The New Animated Series and the Transformers spin-off TV series, Transformers: Beast Wars. 96. Escape Studios - This isn’t a 3D studio; it’s a college! It was founded in 2002 by Dominic Davenport and funded by Ridley Scott, and they offer classes in 3D animation, visual effects production, compositing for production, and even online computer graphics training as well. So why did I include a college on my list when there are plenty of 3D art degrees out there? Because Escape partners with top effects studios to let students actually work on the production of movies and games that are in development, with recently released projects being Battlefield 3 for Xbox 360, X-Men: The Last Stand, and The Da Vinci Code. 95. BAKED FX - This VFX and post production studio was founded in 2005 in Culver City, California. They’ve worked on a few shows (Southland, John Adams, V, Game of Thrones) and a few movies (The Final Destination, Live Free or Die Hard). They’ve also created commercials for big brand name clients (HP, State Farm, Toyota, JC Penny, Google Chrome), but what they’re really well known for is their extensive library of superstar music videos. Whether you listen to Lady Gaga, Paramore, Britney Spears, Marilyn Manson, Miley Cyrus, Rihanna, M.I.A., Justin Bieber, or dozens of other music celebrities, then you’ve likely seen one of the music videos they’ve made. Be sure to check out their 2011 Summer Reel here. 94. Zoic Studios - Founded by five people in 2002, they quickly landed the visual effects job for the highly acclaimed but short lived television series, Firefly, which they won a VES Award for. Zoic went on to win a variety of awards for their work on other shows including Battlestar Galactica, Buffy the Vampire Slayer, Eureka, and Fringe. As for movies, some of their highlights are Zombieland, The Day After Tomorrow, Spider-Man 2, Van Helsing, and Serenity. 93. Intelligent Creatures - Were you mesmerized by the constantly morphing Rorschach mask in Watchmen? If so, you can thank them for that and their 300 other visual effects shots in the film. This studio was formed in 2003 to help meet the demands of a booming VFX scene in Canada, and since then they’ve also worked on Resident Evil: Apocalypse, Mr. & Mrs. Smith, Babel, Silent Hill, Hairspray, Mr. Magorium’s Wonder Emporium, Underworld: Rise of the Lycans, Piranha 3D, Battle: Los Angeles, and were crucial in providing some of the memorable effects in Darren Aronofsky's The Fountain. 92. Hybride Technologies - Founded in 1991, this Quebec visual effects studio was acquired by Ubisoft in 2008 after years of work on television series and films, such as Mimic, Battlefield Earth, and Sky Captain and the World of Tomorrow. Some of their biggest bragging rights are creating over 540 VFX shots in the Spartan epic film, 300, for a total of 45 minutes of footage. They also made close to an hour of effects footage for Sin City. Other notable projects are the Spy Kids series, a few scenes in Avatar, and all three short films in Ubisoft’s Assassin's Creed: Lineage. 91. Centro Digital Pictures Limited - Most of the studios from Asia that are on this list deal with 2D animations, but this Hong Kong studio instead excels at visual effects. Fans of Stephen Chow will know and love their stylized CGI work from Shaolin Soccer and Kung Fu Hustle, but they’re likely most praised for their BAFTA nominated work in Kill Bill Volume 1 and Kill Bill Volume 2. They’re also responsible for the effects in the original Bangkok Dangerous and The Eye, as well as the globally praised film, Curse of the Golden Flower. 90. Image Engine - This Vancouver studio provided visual effects for dozens of episodes from the science fiction TV show, Stargate SG-1. Over the years they also contributed to X2: X-Men United, I, Robot, Taxi, Night at the Museum, The Last Mimzy, Fantastic Four: Rise of the Silver Surfer, The Incredible Hulk, The Losers, The Twilight Saga: Eclipse, and also last year’s The Thing. If you’re interested in the technical aspects of the industry, then you can read how they used Autodesk 3D software to create some of the scenes in District 9.